I mentioned last week (Week 85) and the week prior (Week 84) that the deep freeze in Columbus drove me to basically hibernate and to not be as active as I should be. I am happy to say, after 2 weeks of less than stellar performance, I started getting back on track this week. There were 2 mornings this week when I woke up at 5:15 and discovered that the temperature outside was nearly 50 degrees. This 50-degree weather follows a week where we had single-digit high temperatures in Columbus. As a result I continue to learn how much the weather makes a difference in a fitness lifestyle. Instead of last week’s hibernation and hiding from the weather I actually was able to have early morning outdoor runs twice this week. One of the runs was in the rain but that didn’t bother me at all. I just put on a rain jacket and went out in the rain. 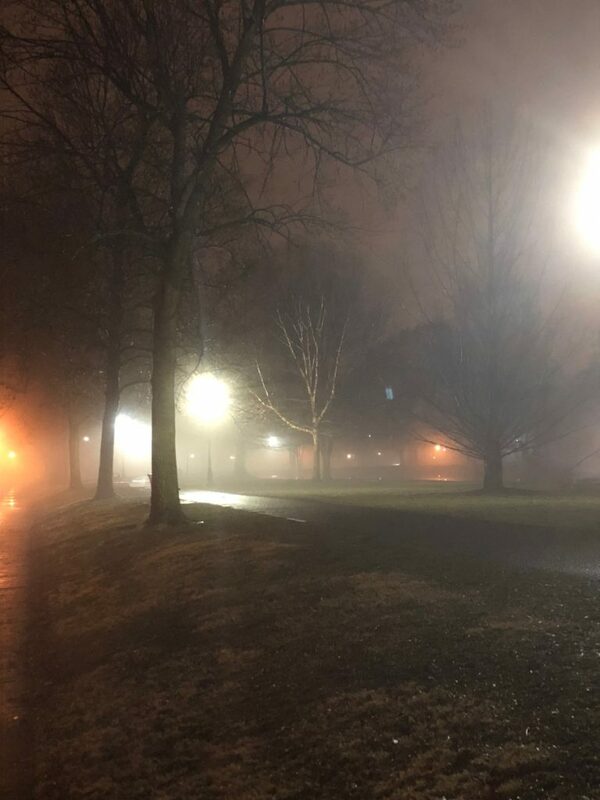 The result was 2 great runs on Wednesday and Thursday and an amazing view of the rain soaked and densely foggy Schiller Park – have I mentioned that I love fog? 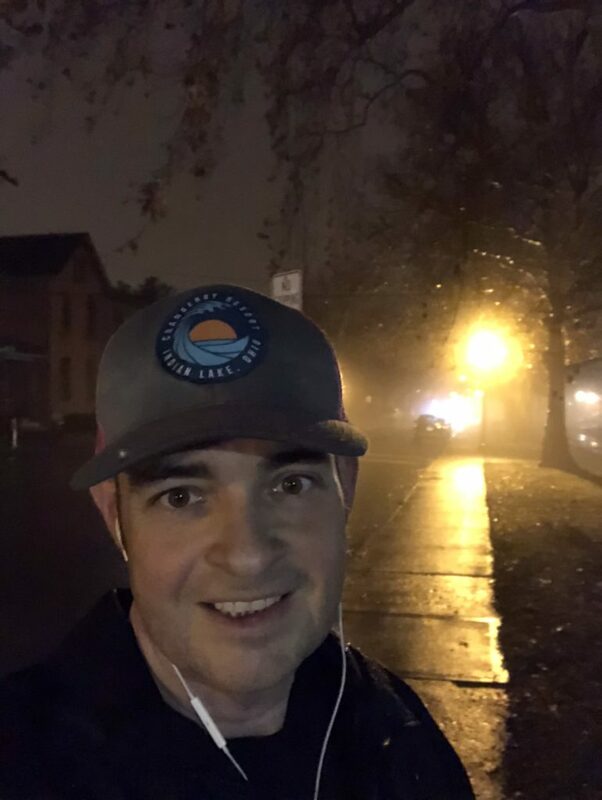 The decision to go out and run despite conditions not being perfect was even the inspiration for this weeks Reflections on Leadership article. Unfortunately this means that I ran on consecutive days which I try very hard not to do because my body needs time to recover. Remember the “aging athlete” comment (http://www.operationmelt.com/2018/09/23/week-66-i-dont-give-myself-enough-credit/) from my doctor? But it seemed to work out ok this week with pretty much zero pain. Me killing it on my morning run! Though I usually only report my metrics a week behind I am going to pause to brag about running 17 total miles this week. That is way more than my 10 miles per week goal! During my Thursday morning run I rediscovered that music makes a big impact on my performance. I was nearing the end of my run and was in the final leg of my run around the park. Just then shuffle found some of my favorite running songs. The music pushed me to run another full lap around the park which added about another three-quarters of a mile to my total run. I ended up running over a 5k and being a little late for work – totally worth it! This was just one of several instances this week when music made a big impact on me and my mood, my performance, my focus or my emotions. I am an incredibly music driven and its impact on me amazes me every time! Not only did I get back to running this week I also killed it in the gym on Saturday morning for almost 2 hours. 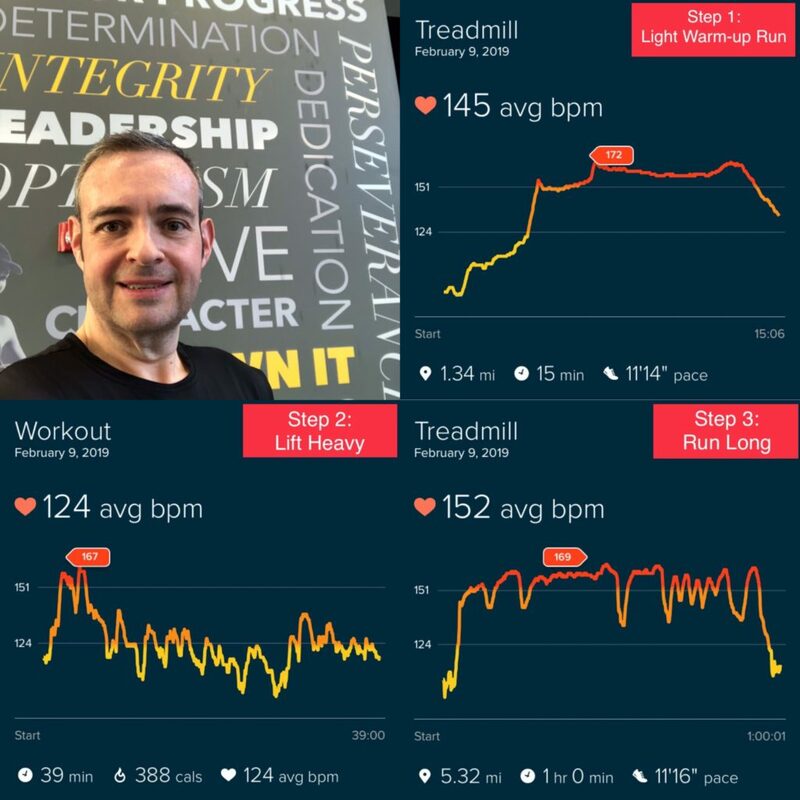 My #Sweaturday workout this week … torched about 1500 calories in 2 hours! I did a short, light warm-up run on the treadmill. Then I spent 40 minutes doing a weight lifting circuit that started with some body weight exercises including push-ups on a Bosu ball, deadlifts, bench press, cable chest presses and more. Then, just when the average person would have said “I’m done,” I got back on the treadmill for a 5-mile run. I ran for an hour and hit a distance of more than 5 miles. I had planned to stop at 45 minutes but then, yet again, a string of great music played on my running playlist and pushed me further. Almost Here: Operation Melt the Book! My book is essentially done! I have a couple of more edits to fold in and then we will call the first edition ready to sell. It has been an exciting 2 weeks of finishing the cover design, finishing my acknowledgements, adding a final chapter about bringing the weight loss journey to a close. Plus ever edit results in a new export to ePub format and it is a real book! I have thoroughly enjoyed watching this book come to life and am excited to share it soon. Here is something that a lot of authors would never do – I am going to give you a semi-real-time view into my plans and thoughts. I have spent some time working on my rollout plan and have the basics figured out. My plan is to publish the first edition within the next 4-6 weeks in eBook format only. I am planning to start selling through OperationMelt.com for a short period of time first and then to expand to iTunes and Amazon and maybe more. I am going to let the eBook sell for a while and learn from the reviews. Then, after 2-3 months of eBook sales, I am planning to release the second edition in both eBook and paperback. Hopefully by this time next week I can announce a target release date and maybe even start taking pre-orders. But that may be a little ambitious because there are still some mechanical and other aspects that I need to try to figure out this week.